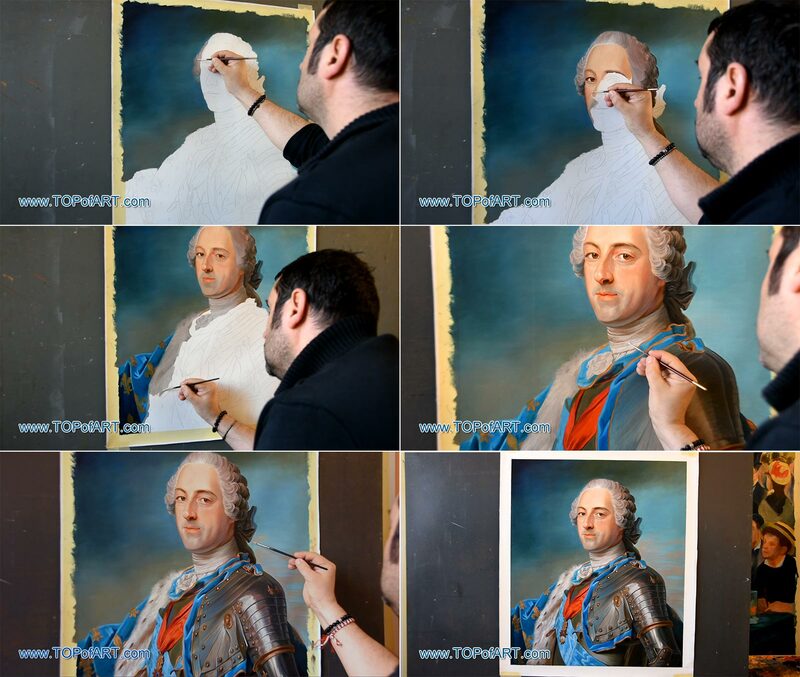 To paint your Maurice Quentin de La Tour Hand-Painted Art Reproduction time is needed. The painting should not be made too hastily, nor should any deadlines be pursued. For the painting to acquire high quality and precision of detail, time is necessary. It also needs time to dry in order to be completely ready for shipping. Depending on the complexity, the level of detail, and the size of the painting, we'll need 5-6 weeks to make the painting. We do not frame our oil painting reproductions. Hand-Painted Art Reproduction is an expensive product, and the risks of damaging a painting stretched on a frame during transportation are too high. 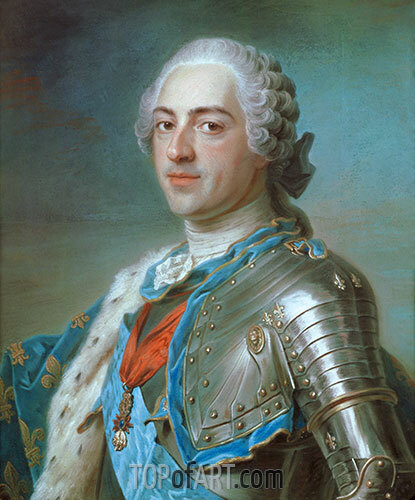 Portrait of Louis XV of France by Maurice Quentin de La Tour is, therefore, not framed, and will be sent to you rolled up and packaged in a strong and secure postal tube. Your Portrait of Louis XV of France Canvas Print is individually hand-made, using sophisticated digital technology. The process of Giclée print technology imparts to the Art Print a vivid clear color, an incredible level of detail, and the authentic charm as from a museum original. If you have chosen a Canvas Print of Maurice Quentin de La Tour without a frame, it would be ready to be sent to you within 48 hours. However, if you have chosen an art print stretched on a frame, then the process of printing and framing will take about 7-8 days. 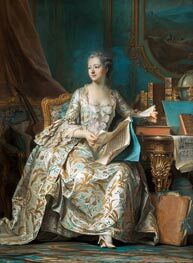 The unframed print of Portrait of Louis XV of France will be shipped rolled up in a postal tube. The framed Canvas Print will travel packaged in a cardboard box with additional corner protectors.